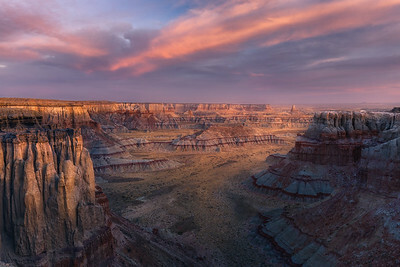 Rocks, rivers, and canyons of the America Southwest. 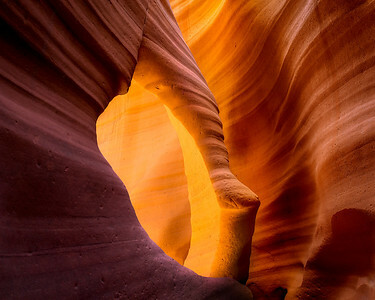 Most of these landscapes are formed by water cutting through sandstone over many years, creating slot canyons, arches, and canyon environments that are like no other in the world. 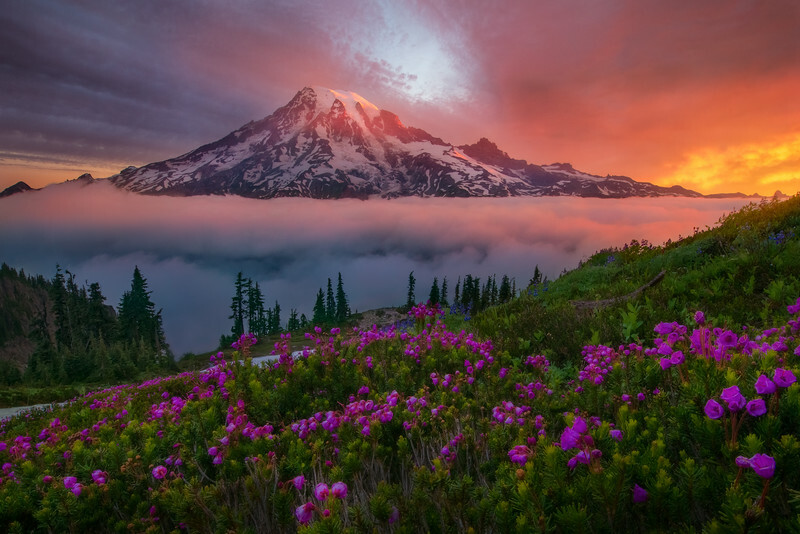 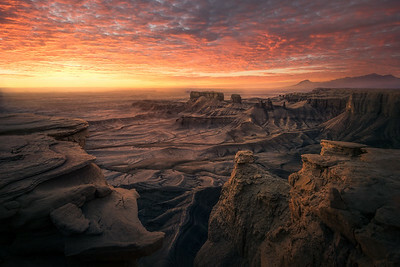 I was fortunate enough to be in the right place at the right time to witness this breathtaking sunrise over one of the most unusual landscapes in the world. 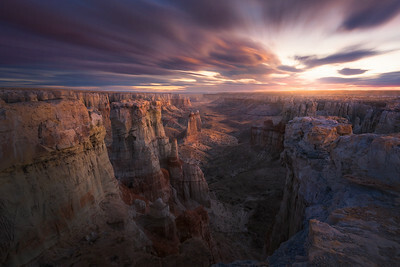 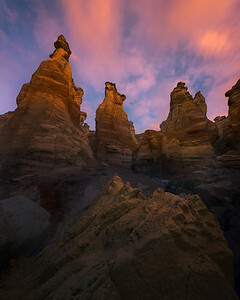 Cloud streaks rendered by a long exposure as the pre-dawn light filters through the canyon walls in Arizona. 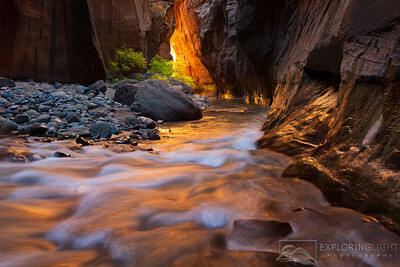 The aquamarine waters of the Virgin River lead to a beautiful display of reflected light on the sandstone of the Narrows. 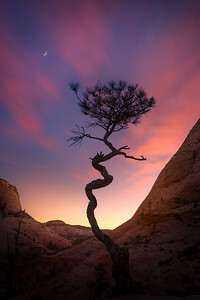 An old corkscrew tree is silhouetted by the night sky and glow from the rising sun. 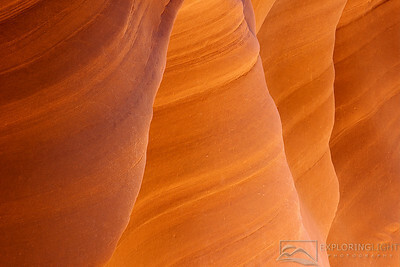 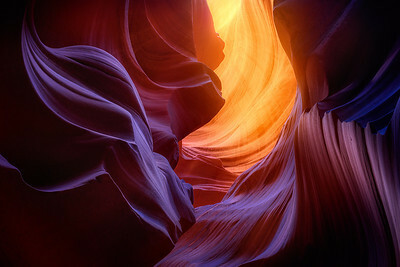 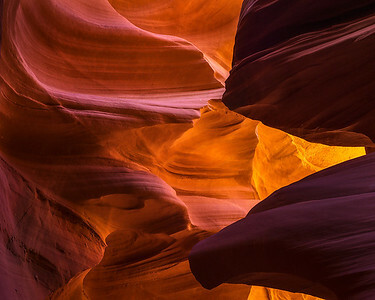 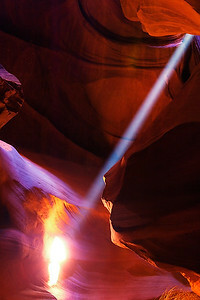 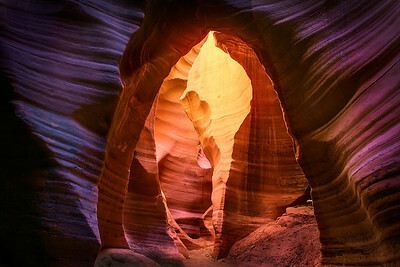 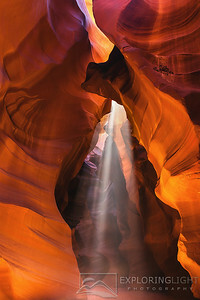 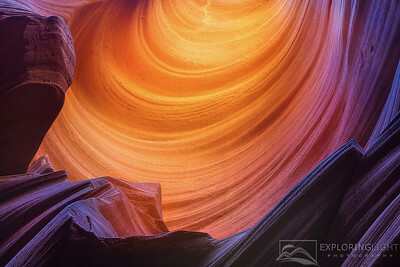 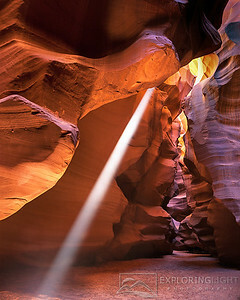 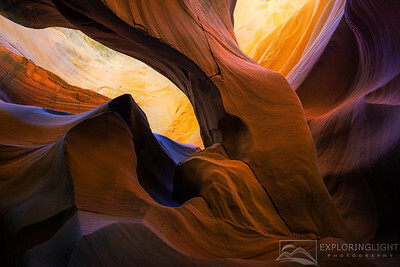 Arizona's Upper Antelope Canyon boasts colorful sandstone and beautiful rays of light. 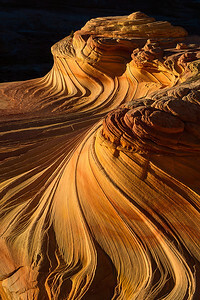 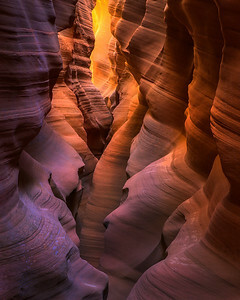 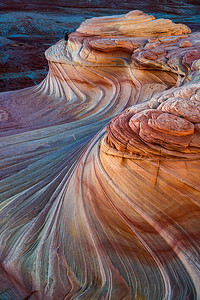 Sandstone pillars catch sunrise light, photographed deep within one of Arizona's canyons. 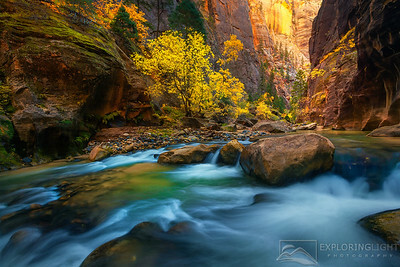 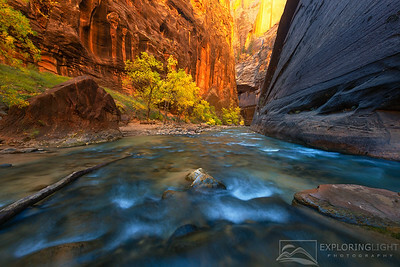 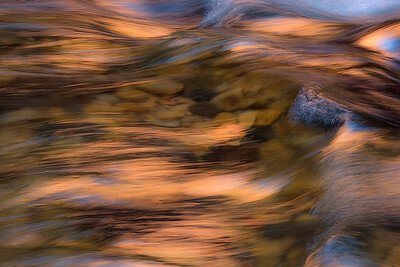 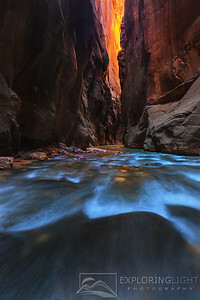 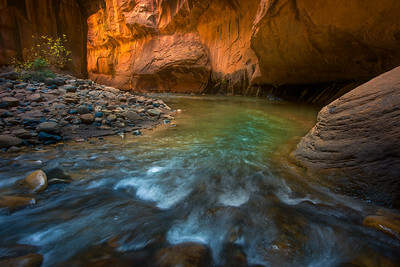 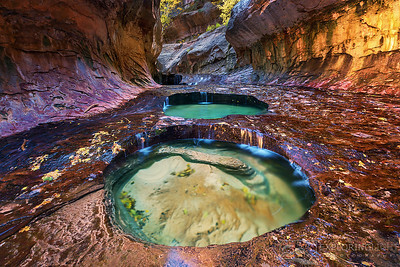 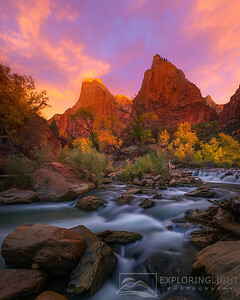 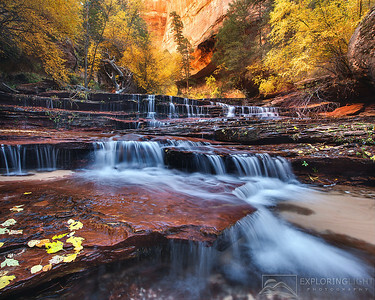 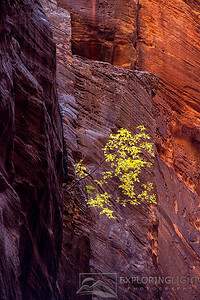 An intimate look at the form and reflected light of the Virgin River in Zion National Park. 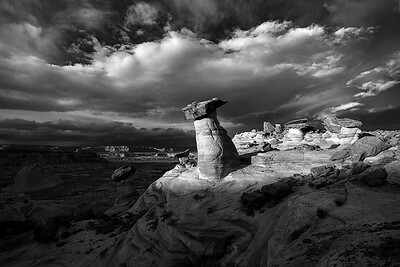 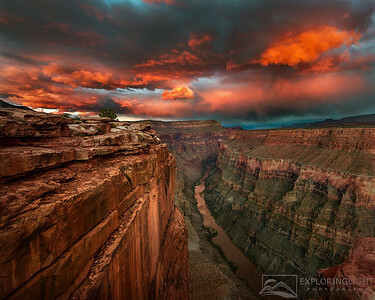 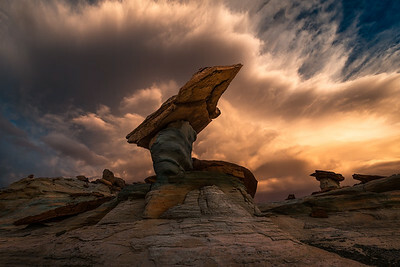 A dramatic display of light at Stud Horse Point, Utah. 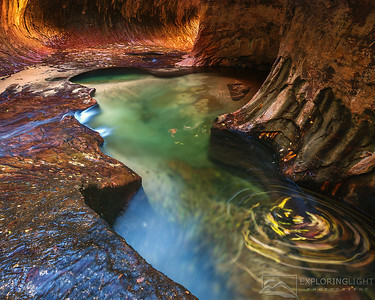 A long exposure of fall leaves swirling around the emerald pools in the Subway.